By Alex Allenchey [via Artspace] As today's art world continues to expand at an exponential rate, with new museums, exhibitions, and biennials popping up seemingly by the minute, contemporary curators are increasingly expected to be up-to-date and knowledgeable about all the goings on around the globe. Only a select few "super" curators have the drive and the wherewithal to handle the mounting responsibilities required to stage today's monumental shows. We've compiled a list of eight of these exceptional gatekeepers, who also happen to be some of the most influential and important people around. Name: Hans Ulrich Obrist Affiliation: Serpentine Gallery in London (Co-Director, Exhibitions and Programs, and Director of International Projects) Known For: Being everywhere at once, writing a Brief History of Curating. Curatorial Approach: Interdisciplinarily-inclined advocate for evolving and participatory exhibitions, Obrist's curatorial reach knows no limits. Most Notable Exhibition: "do it," a still-ongoing project begun in 1993 consisting of a set of instructional works—contributed by artists including Rirkrit Tiravanija,Marina Abramović, Christian Marclay, and Olafur Eliasson, among many others—that anyone can follow to create an open exhibition in any location. Weirdest Exhibition: Beginning with an "Interview Marathon" in 2006, Obrist has conducted a series of 24-hour cultural endurance tests, with themes ranging from "Experiments" to "Manifesto" and "Poetry." Sartorial Flourish: Blazer, no tie. 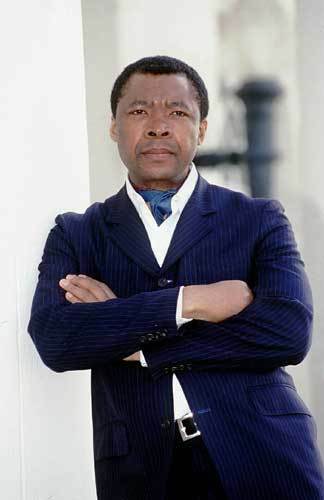 Name: Okwui Enwezor Affiliation: Haus der Kunst in Munich (Director) Known For: As a writer, critic, and editor, as well as a curator, Enzewor serves on numerous curatorial teams and advisory boards. Curatorial Approach: Enwezor's exhibition topics focus primarily on post-colonial art and political activism. Most Notable Exhibition: In Enwezor's case, it's a tie: As the artistic director of the second (and final) Johannesburg Biennale, Enwezor's "Trade Routes: History and Geography" is largely credited as an important moment for African art on an international scale. As curator of Documenta 11 in 2002, he made the exhibition truly international, conceiving it as a series of decentralized "platforms" located in Vienna, Berlin, New Delhi, St. Lucia, and Lagos, as well as the main event in Kassel. Weirdest Exhibition: Not so much weird as revolutionary, "In/Sight," an 1996 exhibition of African photographers at the Guggenheim helped challenge visual stereotypes of African representation. Sartorial Flourish: The man can rock an ascot. Name: Massimilliano Gioni Affiliation: The New Museum in New York (Associate Director and Director of Special Exhibitions); the Nicola Trussardi Foundation in Milan (Artistic Director) Known For: Being the Wall Street Journal-annointed "crown prince" of the art world. Curatorial Approach: Gioni frequently pulls together art regardless of genre classification, creating generally pleasant and thought-provoking juxtapositions. Most Notable Exhibition: His "Younger Than Jesus" exhibition, the first iteration of the New Museum's triennial, which he co-curated with Lauren Cornell and Laura Hoptman, reads like a "who's who" list of hot young artists, from Cory Arcangel and Tauba Auerbach to Elad Lassry and Adam Pendleton. Weirdest Exhibition: His exhibition for the Venice Biennale sports the theme "The Encyclopedic Palace," based on an outsider artist's theoretical museum, and contains a bizarre assemblage of art, including "anonymous tantric paintings" alongside work by Robert Crumb and James Castle. Sartorial Flourish: No blazer, no tie. Name: Carolyn Christov-Bakargiev Affiliation: Independent Known For: Being the first woman to reach #1 on Art Review's annual "Power 100" list. Curatorial Approach: The American writer and art historian often takes a step back curatorially and lets the potentially-drawn associations between her disparately gathered artworks do the talking. Most Notable Exhibition: Under her curatorial guidance, Documenta 13 in 2012 was a smashing success, drawing over 100,000 more visitors than its previous edition in 2007 and being an impressive feat of organization, as it spread beyond the usual location of Kassel, Germany to Kabul, Banff, and Cairo. Weirdest Exhibition: Serving as the senior curator at MoMA PS1 in 2000,Christov-Bakargiev helped mount the first edition of the quinquennial "Greater New York" exhibition, which spotlights the very diverse (and very weird) art being made throughout New York City. Sartorial Flourish: Scarves and those glasses. Name: Klaus Biesenbach Affiliation: MoMA PS1 (Director) and MoMA (Chief Curator-at-Large) Known For: His ascetic lifestyle, not having any furniture in his apartment. Curatorial Approach: Ideas for Biesenbach's exhibitions tend to derive from his own personal taste, which is excellent. Most Notable Exhibition: While his retrospective for (former flame) Marina Abramović in 2010 deserves mention, "Any Ever," the New York debut of innovative video artist Ryan Trecartin in 2011 probably takes the cake. Weirdest Exhibition: In 2006, Biesenbach curated the group exhibition "Into Me/Out of Me" at PS1, which focused on the act of "passing into, through, and out of the human body." Sartorial Flourish: Tailored Terminator. 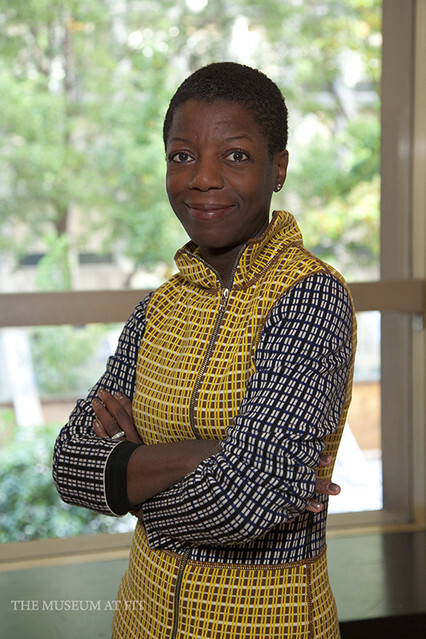 Name: Thelma Golden Affiliation: The Studio Museum in Harlem (Director and Chief Curator) Known For: Championing early career artists. Curatorial Approach: Golden's exhibitions tend to focus on emerging African American artists, considering their work within nuanced conceptual and theoretical groupings. Most Notable Exhibition: Shortly after joining the Studio Museum in 2000, Golden curated "Freestyle" (2001), a widely lauded exhibition of 28 emerging artists of African descent. Golden's catalogue essay for the show introduced the concept of "post black," a term coined by Golden that "identified a generation of black artists who felt free to abandon or confront the label of 'black artist,' preferring to be understood as individuals with complex investigations of blackness in their work." Weirdest Exhibition: Golden was on the curatorial staff at the Whitney when they launched their infamous "Identity Politics" biennial in 1993 that forever altered the course of contemporary art. Sartorial Flourish: Bold patterns. Name: RoseLee Goldberg Affiliation: Performa (Founding Director and Curator) Known For: Writing the definitive tome Performance Art: From Futurism to the Present. Curatorial Approach: As the driving force behind the Performa biennial, Goldberg is known for being on the cutting edge of performance art. Most Notable Exhibition: Performa 2012 included commissioned work by a laundry list of art stars, including Elmgreen & Dragset, Ragnar Kjartansson, Liz Magic Laser, Laurel Nakadate and James Franco, Shirin Neshat, and Frances Stark. Weirdest Exhibition: David Salle's first solo exhibition "Bearding the Lion in His Den" at the Kitchen in 1977, which featured ten high intensity light bulbs flashing at random while Tim Buckley's "Song for the Siren" plays. Sartorial Flourish: Killer bangs. Name: Paul Schimmel Affiliation: It was recently announced that Schimmel will be joining the blue-chip gallery Hauser & Wirth as a partner in a new Los Angeles space, Hauser Wirth & Schimmel, which is set to open in 2015. Known For: Putting on critically acclaimed exhibitions year after year and getting unceremoniously fired for it. Curatorial Approach: His vision is expansive and his exhibitions are often grand in scale, though they have often tended to focus on L.A.-based artists. Most Notable Exhibition: Schimmel set the bar high with "Helter Skelter: L.A. Art in the 1990s" (1992), his first exhibition as chief curator at the Los Angeles Museum of Contemporary Art, which sought to upset stereotypes about West Coast art and challenge the assumed superiority of the New York art scene. Weirdest Exhibition: His (probably) once-in-lifetime show "Robert Rauschenberg: Combines" at LA MOCA (2005), which traveled to the Metropolitan Museum of Art the following year, a collection of over 50 of the postwar artist's rare and fragile collages. Sartorial Flourish: Cosby sweaters.